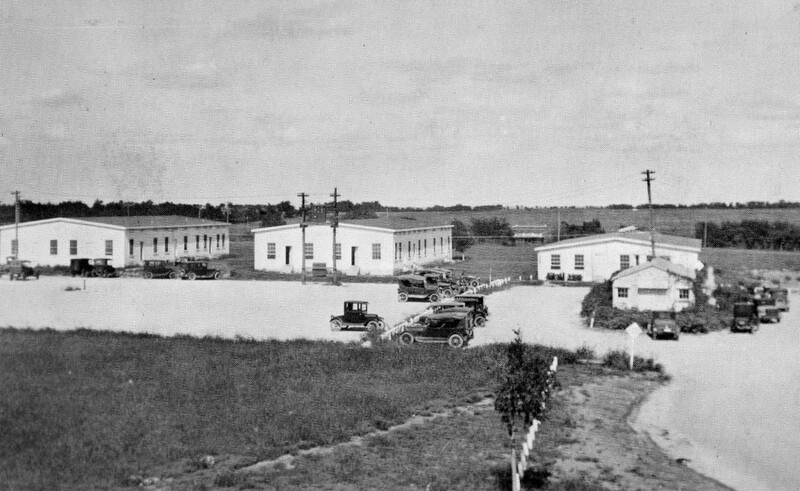 “The parking lot in the foreground and the curving driveway are basically still the same today, but the rest of the picture has changed drastically since 1925 when it was taken. “On the left is the Southern Methodist University Engineering School with the Chemistry Department Building in the middle and the School of Commerce on the right. The smaller building was a construction shack used for carpentry work. “Not shown, but just to the right of this location was Dallas Hall — still a landmark. Today, the Fondren Science Building has replaced the temporary buildings pictured. Photo from a postcard issued as part of the Park Cities Bank “Heritage Series” in the 1970s; the credit line on the postcard reads “Donated by Stanley Patterson.” Thanks to the Lone Star Library Annex Facebook group for use of the image.